Grossmont Master Chorale flash mob in the Grossmont Center (La Mesa, California). 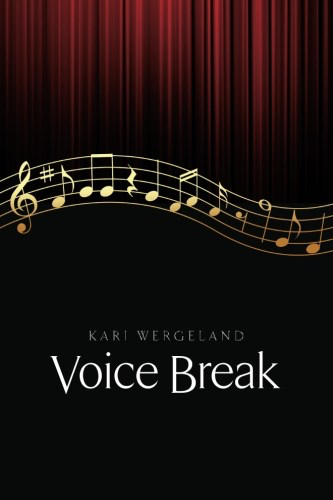 Two years ago I celebrated the release of my first book of poetry, Voice Break, on my fiftieth birthday. It was self-published, which made it seem like less of a milestone than landing a book contract—yet it felt like a milestone, nonetheless. I had been opening rejection letters on two novel manuscripts (some with encouraging comments) for close to twenty years. I’d even had an agent for a time. Like many writers, I’d turned up my nose at self-publishing. The word wannabe can’t help but tag behind. Yet I decided to take this step after one of my advisers in Pacific University’s MFA program read my manuscript. In essence, he told me to come up with a musical cover and publish it. I’m pretty sure he was envisioning a chapbook, but I decided to take advantage of the growing frenzy over CreateSpace to see if I liked the way the process worked. I figured I didn’t have much to lose. The manuscript was quirky, and I sensed it wouldn’t sit well with a traditional publisher. It was probably too short to boot. In the end, I found the process unexpectedly gratifying. I loved having editorial control! I loved choosing the cover and other design elements. And I loved the absence of deadlines—it wasn’t finished until I thought it was finished. Once the book was released, I put on my PR hat and managed to capture a little attention in the news. I ended up selling copies to friends and a few generous strangers, but I must admit, my sales never proved to be brisk. 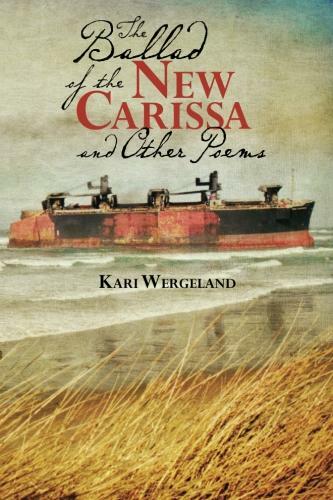 Meanwhile, I began to face a second manuscript, The Ballad of the New Carissa and Other Poems. As there aren’t a lot of ballads being written these days, I figured it would also be hard to place. So I repeated the process with CreateSpace and pretty much ended up with the same results. As an aside, both books were covered by media outlets in Eugene and Newport, Oregon. I was happy with that. Problem is, poetry doesn’t sell. About the time I was waiting to learn how my own sales would go, I encountered an article in Publishers Weekly, entitled “Measuring the National Book Award Sales Effect”, which focuses on how many additional copies an award winner could expect to unload. I was surprised to learn the winner in the poetry category, David Ferry, had sold roughly 2000 copies of his book Bewilderment. While Ferry’s numbers had actually tripled due to his badge of honor, this number was sobering indeed. Even so, I don’t regret stepping out. Poets have always found creative ways to make their work available. Or they have enlisted tiny presses to do it for them. I can recall weeding books during the nineties in the Ballard branch of the Seattle Public Library, where I worked as a librarian, only to stumble upon an early effort by Sherman Alexie (I can no longer remember which one it was). It caught my eye, because Reservation Blues had just made him a star. I think I stood there imagining his early days as a writer, the loving attention he put into the book I held in my hands—one I probably wouldn’t have noticed if Reservation Blues hadn’t come along. My two books are now housed in a couple of libraries. And due to print-on-demand technology, they are still available for sale through online vendors, should anyone else ever decide to take an interest in them. To my mind, this benefit of the print-on-demand process is probably the best reason to go the self-publishing route. A book can conceivably take all the time in the world to make its way into the consciousness of readers (instead of being remaindered and forgotten). The downside, of course, is that self-published books tend to be ignored by sponsors of literary contests, not to mention librarians and reviewers. I’m still wondering if anyone ever solved the riddle presented in Voice Break, a riddle that also serves as a turn of sorts. In any event, I’ve gone on to test the traditional route. I’ve already enjoyed some success with placing individual poems in literary journals. Perhaps this will ultimately lead to a third manuscript worthy of a good old-fashioned publisher. Poetry may not sell, but it certainly isn’t dead. Last week I attended a Meet the Poets gathering in the Mission Hills branch of the San Diego Public Library. I was there to share one of my poems, which had recently been published in The San Diego Poetry Annual. The room was packed. Our moderator, Curran Jeffery, quickly ascertained for the record that most of the people in the audience were not poets or writers, but had attended solely to listen to the twenty or so of us preparing to read.